Dr. Tomas Enos, President of Milagro Herbs, Inc. in Santa Fe, New Mexico is an ethnobotanist, teacher, and natural products formulator. Based upon his education and experience of 25 years in the herb business, Dr Enos has demonstrated success in developing natural products for national distribution. Dr. Enos received his PhD from Union Institute and University in 2001 after completing a two year apprenticeship and study of traditional healing practices in Oaxaca, Mexico which culminated in his dissertation on curanderismo and holistic healing. He continues to practice this centuries-old system of health that treats body, mind, and spirit through applications of herbal medicine, counseling, reflexology, massage, and visualization techniques. Dr. Enos is a lecturer at the University of New Mexico - Traditional Medicine Without Borders: Curanderismo in the Southwest and Mexico program. Dr. Enos has been a faculty member at the Institute of American Indian Arts (Ethnobotany) in Santa Fe; instructor at Ecoversity, Inc. (Herbal Medicine); and private consultant/teacher to individuals and groups interested in native plants of the Southwest United States. He has served as an agricultural/botanical consultant to NASA, the 22 Indian tribes of New Mexico, New Mexico State University, New Mexico Department of Agriculture, the U.S Department of Agriculture, and numerous independent entities. He maintains an active business profile through Milagro Herbs with a retail store in downtown Santa Fe. His company has been a member of the Santa Fe Farmers Market for 18 years where he has sold fresh herbal products and he continues to expand his mail order/Internet business both nationally and internationally. The current product line of over 100 herbal and cosmetic items features organic and wild harvested plants collected by Dr. Enos and his staff. Dr. Enos has conducted extensive ethnobotanical research in Mexico, Central America, and South America to identify viable phytomedicinals for human health. His company currently imports plant medicines from the rainforests and marine ecosystems which are subsequently incorporated into El Milagro Herbs’ unique and proprietary product line. 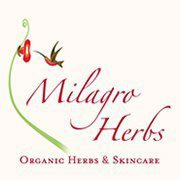 Contact www.milagroherbs.com or drenos@milagroherbs.com for more information and references.